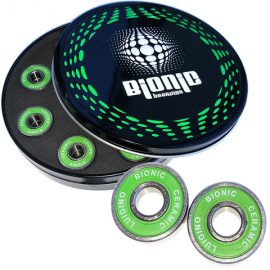 Bionic is primarily focused on quality components for quad roller and inline skates with a commitment to service. All Bionic components are designed with specific geometry to provide skaters of all levels an advantage over its competitors or OEM (original equipment manufactured) products. Ball bearings are machined components that include an outer ring, inner ring, balls, retainers, and snap fit non-contact metal shields, (rubber coated). Bionic Bearings are available in 608 (8mm ID and/or axle size), and flanged. For extreme noise sensitive applications, superior hardness and corrosion resistance our ball bearings are manufactured with stainless steel and titanium material, providing high corrosion resistance and improved longevity. 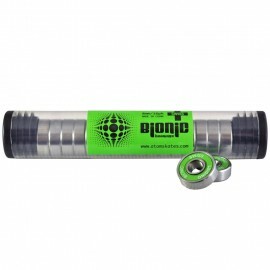 Premium bearings at an affordable price. Dare to compare... You will be shocked! 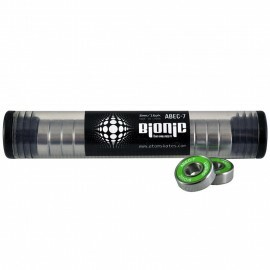 Bionic SWISS 8mm is considered our flagship of our bearing lineup, and for great reason.Our SWISS is not made i..
For season 2019 Bionic come with NEW High quality Ceramic Bearings.Balls are made from ceramic, Rest form High alloy Steel.1 set = 16 pcsWet conditions - we don´t care. move forward..